Earn 16 points to spend on future purchases. 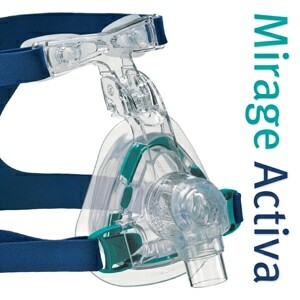 Unlike most chinstraps that wrap completely around the head, the Standard White Chinstrap attaches to your CPAP or BiPAP headgear straps so it doesn't increase pressure at the back of the head. 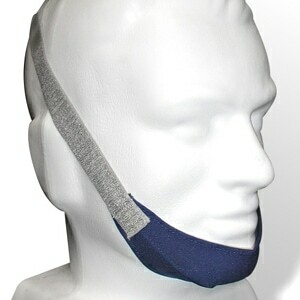 The White Chinstrap's chin cradle is divided into two sections -- one wide and one narrow. 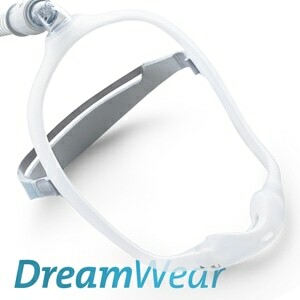 Either section can be used to support the chin allowing the user to choose which overall fit best suits their needs. USAGE: Hand wash with a mild laundry soap. Lay flat on a towel to dry or line dry. Do not bleach. 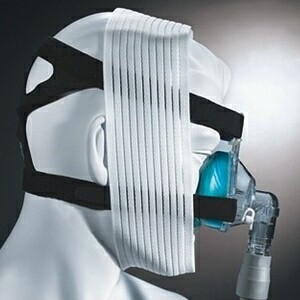 Chinstrap shown with mask as an example only. Mask not included. Excellent shipping time and product was exactly what we wanted!